What Can Alcohol Do To You? Since I often talk about life and its challenges, it makes sense that many people ask me about solutions. One of the most common areas is about the consumption of alcohol or drugs and how they are used as an escape. We pretty much all know that what starts out as a social drink, often ends up by us consuming the whole bottle and searching for more to get totally wasted. This is a not normal and is what I call a flag, or sign to you that you need help (maybe not even anything major) with some issues you are dealing with – OR the way in which you deal with them. OK, so drinking your problems away – well, we all know is not a permanent solution. But let me take a break right now and tell you what you can do if you are worried about what can alcohol do to you. The less water in your body when you start to drink, the faster it will affect you. So people with lower water content: skinny, trim, women… feel it faster than fatter, heavier people. It screws with your behavior and emotions and messes with your memory and coordination. 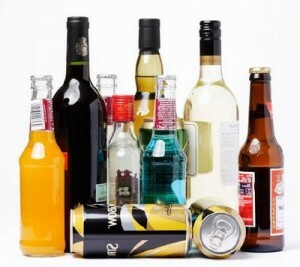 Since alcohol blocks the absorption or vitamins and minerals, you start being depleted of them. It dehydrates you and can do so for days, and is why people who drink heavily have that look. So two things will help you get back to normal: First above all is re-hydrating. Just drink water. A lot of it. And keep drinking throughout the day. You need to replenish a lot of cells and flush the toxins out. This works. Secondly, you may have heard of the DT’s (delirium tremens) – or the jitters or the shakes. Alcohol can really do a number on your central nervous system and when it starts wearing off you start getting nervous or shaky. The very best thing to do is to get minerals back in your system, mainly magnesium. I suggest 2 to 4000 mg of chelated magnesium. Make sure you read the label to see how much elemental or pure magnesium you’re taking because the rest is pretty much the filler. And they are fairly large pills. Break them up if you have to but get them in your system and the jitters will fade within about 20 minutes. For hangovers, remember again the dehydration alcohol causes. It also makes the brain cells swell, thus the headaches. So flush out with water, but keep taking minerals. That process will have you back on your feet quicker. Bottom line, use good judgement. If you find yourself drinking your problems away often, you have an issue. Get help – go to church and find someone to chat with. You can work it out with help and very rarely alone. Find someone who has been there that you can relate to. And then, get your life back. Spirit can help you. Reach out by praying for help and direction. Someone will help you – but you must make the effort to step out and seek. Spirit cares about you.